One of the most common mistakes that novice riders make when they buy their first motorcycle is purchasing one that’s the wrong size. Maybe it’s too big and intimidating, or perhaps it’s too small and underpowered; either way, you end up with an empty wallet and a machine you don’t want to ride. 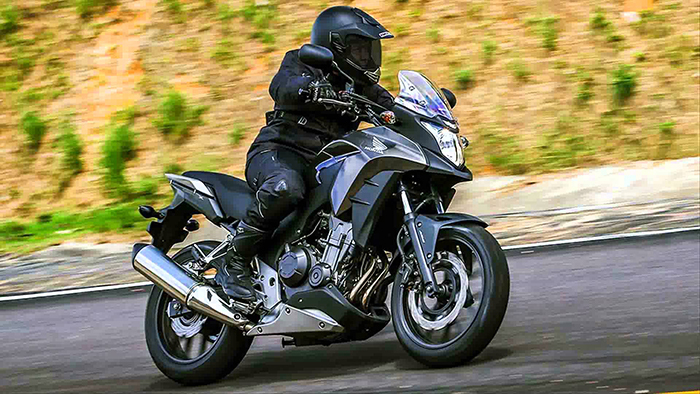 We’ve analyzed the offerings all the manufacturers and put together a list of five great entry-level motorcycles that will perform both now and as riding skills and situations grow. Whether you’re after a sport bike, a cruiser, a standard or even something that can handle a bit of adventure, these bikes are reasonably priced, fun to ride and easy to master. Harley Davidson Street 500 (shown above) -- For a lot of people that dream of riding a motorcycle, there is only one brand that they would ever consider: Harley Davidson. This has been a problem because for years the smallest motorcycle Harley offered was their 883. Because of a shift in strategy, Harley is now trying to go after that beginner market with the Street 500. So what do you get if you buy the Street 500? Well, you get a Harley that’s outfitted with a 491cc engine. For most people, that will be enough. You’ll also get a low seat height – 28 inches, which is great for shorter riders. It’s also a great bike to choose if you are interested in modifying your motorcycle, as scads of aftermarket parts are available for it. 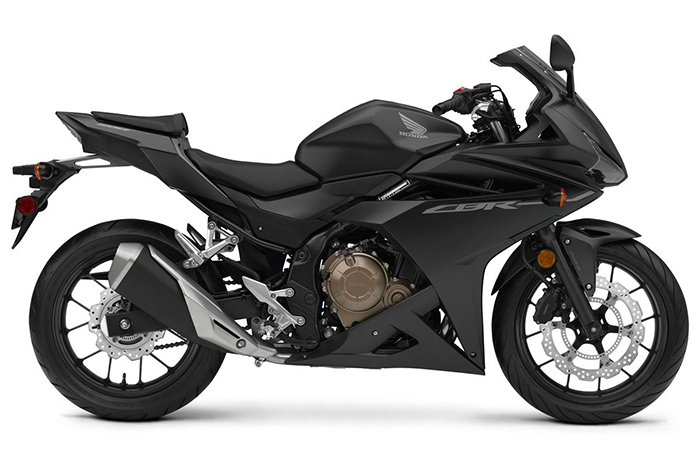 Honda CBR500R -- This smaller CBR takes styling cues from other more powerful bikes in the lineup while still being recognizable in it’s own right. This CBR is fully faired which means if you drop it then you could be doing some damage to your wallet. The 471cc engine powering the CBR is rock solid and provides enough torque for whatever you would want to do. It’s also a twin-cylinder engine which means you get a linear power curve and no big spikey power jumps in the middle of the rev range. 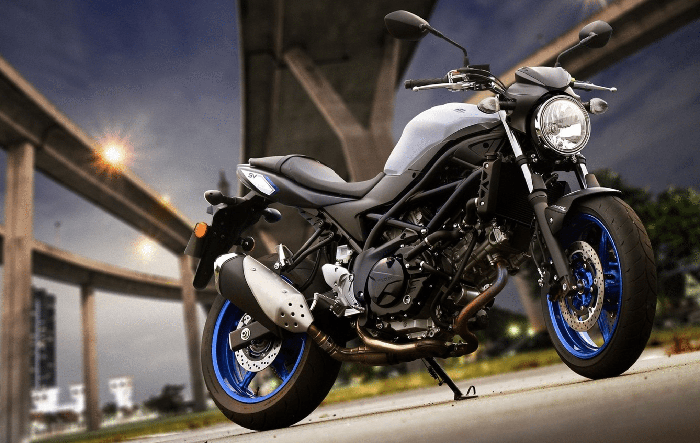 Suzuki 2017 SV650 ABS -- For many years the original SV650 was a great entry-level bike, but Suzuki discontinued it in 2012. Now that it’s back, is it as good as the original? Absolutely. It has updates to the 645cc twin-cylinder engine that give it a bit more power, and it comes with optional ABS. A great feature for beginners is the new ‘Low RPM’ feature that can prevent stalling when you try to get moving from a stop. When you disengage the clutch it picks up the RPM’s a bit to make sure that you won’t kill the bike as you start to move from a dead stop. 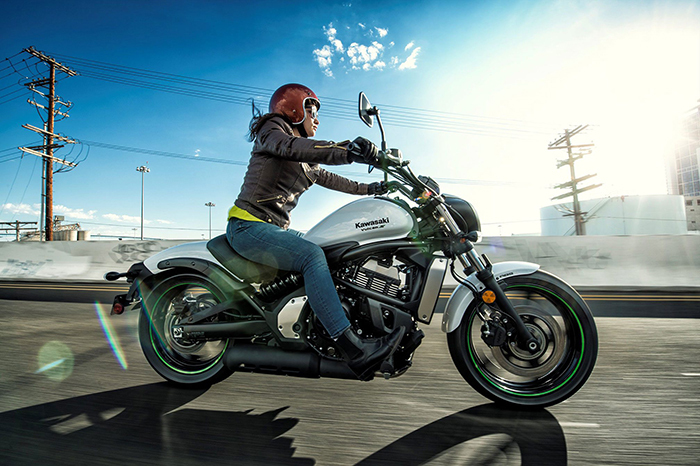 Kawasaki Vulcan S -- The Vulcan S looks classic but handles like a dream. It comes with a 649cc engine, which will be enough to cruise on the freeway, but also not overwhelming for a beginner rider. The ABS version of this bike will make braking much easier and safer. In addition, the bike is packed with great things that make it ideal for a beginner. The ‘Ergo-fit’ adjustability means that you will be comfortable on this motorcycle if you are short (5’6” or shorter) or even really tall (6’1” and over). It does this through moving the foot pegs, changing the seat, and adjusting the handlebars so that the bike fits perfectly. Honda CB500X ABS -- If you are looking to eventually get into motorcycle camping and adventure touring, then take a look at the CB500X. A relatively new model from Honda, the CB500 does everything pretty well. It can handle off road terrain, but it really excels when you are in the city. You are seated upright so you can see everything, and the bike feels a lot lighter than it really is. The 471cc engine gives you enough power to either carry an extra passenger or to carry quite a bit of luggage without losing too much power.